Hey guys! 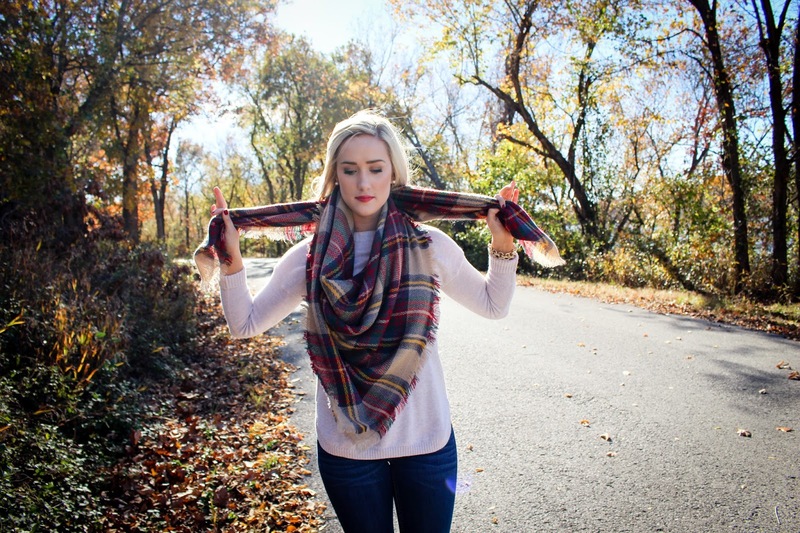 Today I wanted to do a little step-by-step guide on tying blanket scarves! 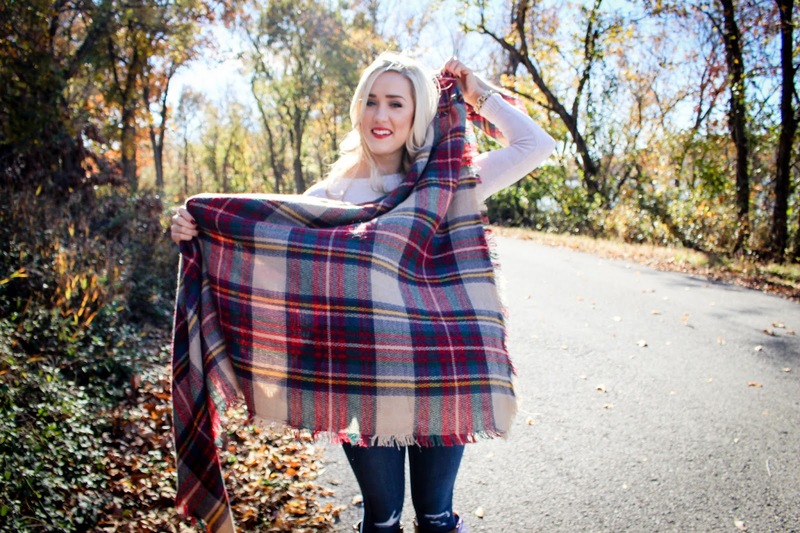 Blanket scarves are a huge trend right now and I love wearing mine! When I first got mine I had no idea what to do with it or how to tie it! 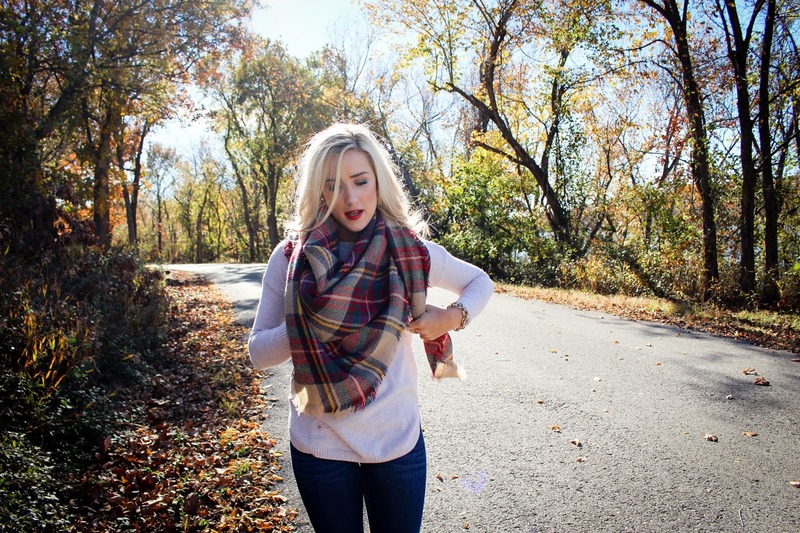 Anyway, if you have just got your first blanket scarf, and aren't sure just how to tie it, hopefully these steps will help you out! 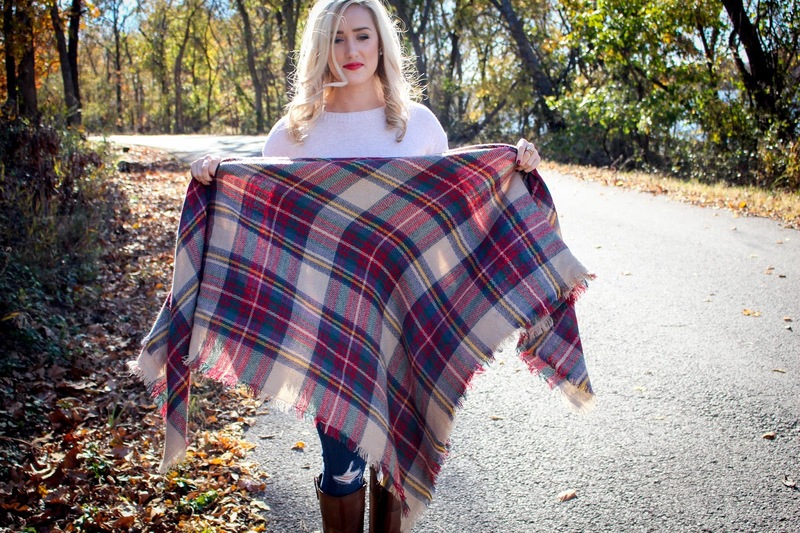 First off, you will want to fold it in half to create a triangle. Bring each end around the back of your neck. After you bring each end around the back of your neck, you can tighten it up to your desired length. Lastly, you'll just tuck in the ends! The finished product! 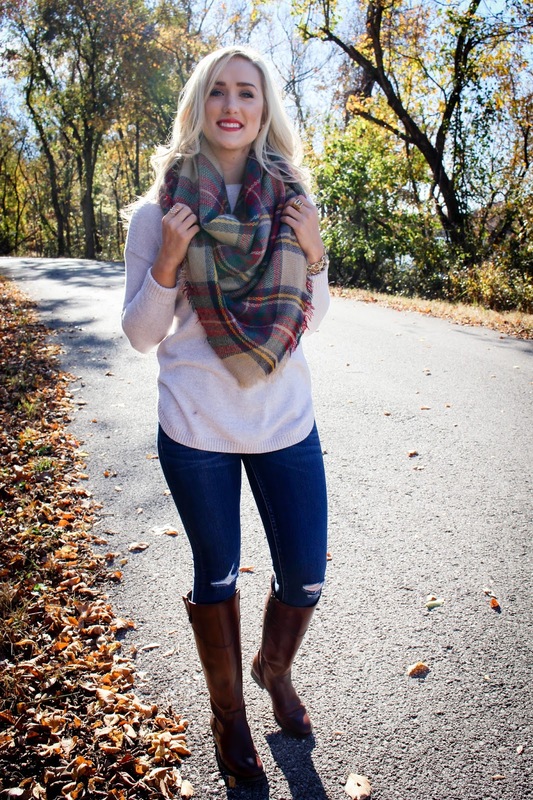 Now you can rock the blanket scarf trend all season long! 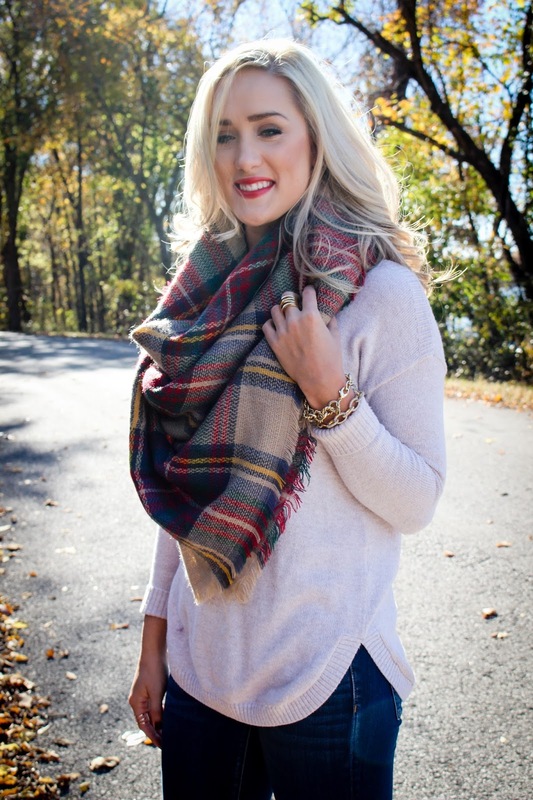 I am also linking some blanket scarves I'm loving in the widget below.